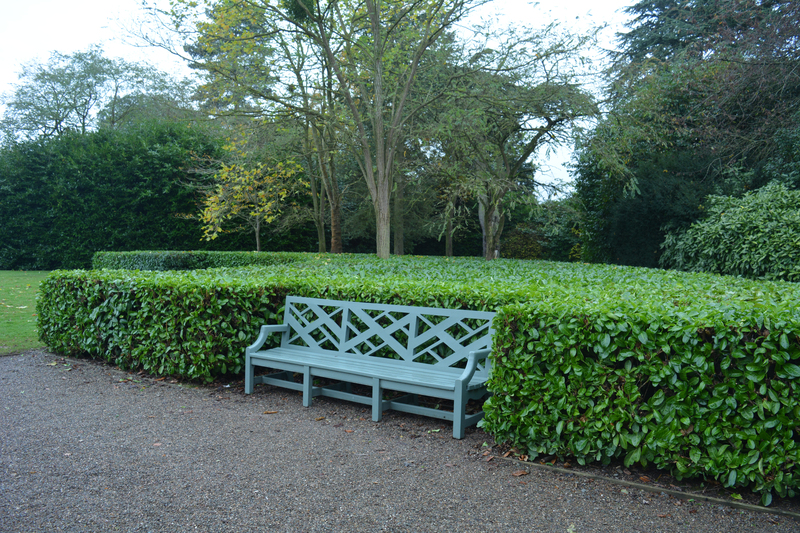 Here we are back with a new selection of interesting and unusual garden seats, our 11th collection. 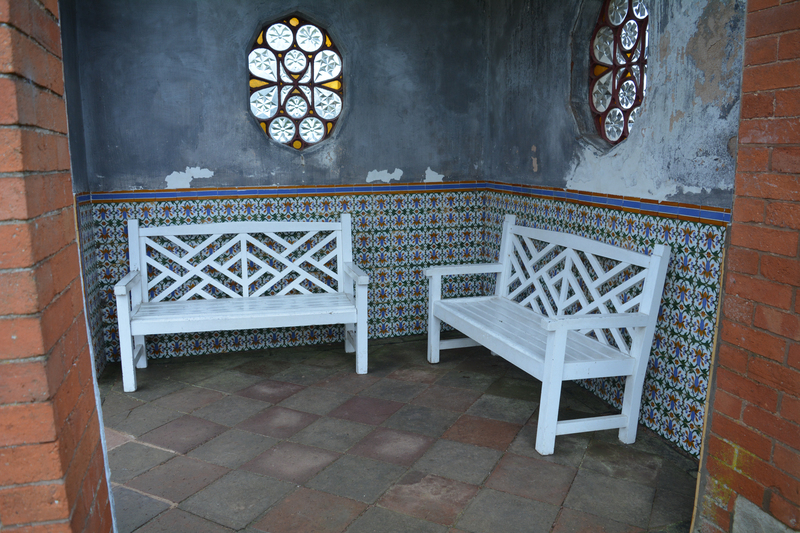 To start with I will share with you a selection of garden seats we discovered in the wonderful huge gardens at Bodnant, a National Trust Property in North Wales and then move on to another of their properties but this time much nearer home in the West Midlands, Hanbury Hall. All these seats were discovered within a week in November. We hope you enjoy the selection we have chosen for you. These three simple slate benches are beautifully placed matching their background of strata slate layers and the grey stone paving. They look very different whether they are wet or dry. They are pale greys when dry but much darker and glossier when wet. Their chunky design fits their place so well. Inside the garden we wandered through the new Winter Garden and down towards the dingle, a wooded steep valley with a stream running through it. 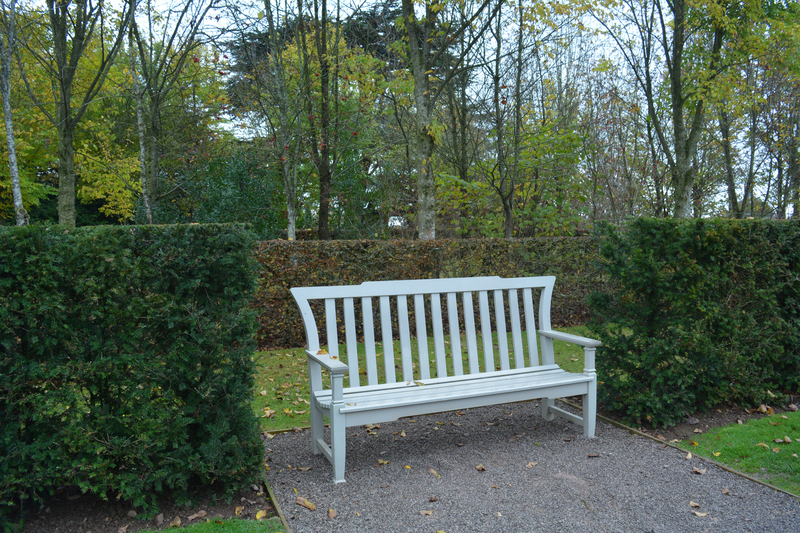 All the seats were quite ordinary designs manufactured from wood, including one that is reminiscent of an Edwin Lutzen’s design, but they were made special by their placements either raised up, surrounded by harmonious plantings and all giving beautiful views across the garden. 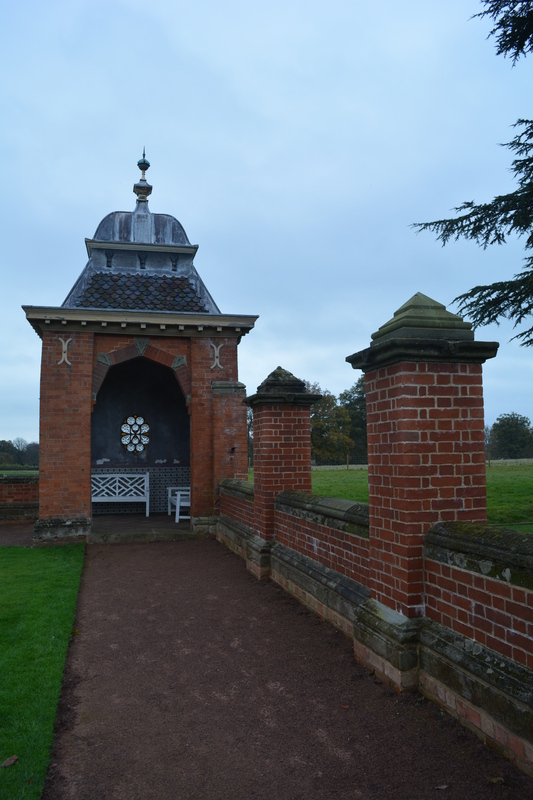 These view points allowed us to look at close up garden plantings, larger borders or even long views along the valley or over tree tops. These last two pics show seating deeper in wooded areas and illustrate how well seats sit in their environment when manufactured in the natural material of the place itself. 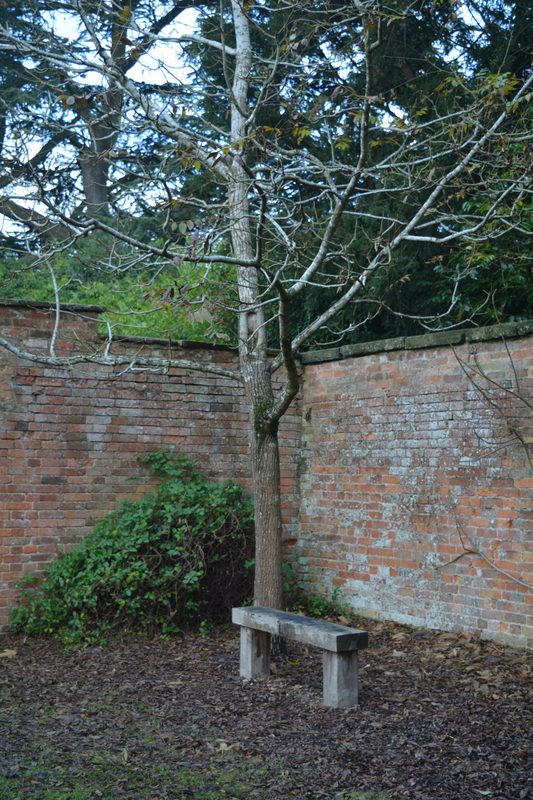 Special secretive seating where birdsong shares the space with you. 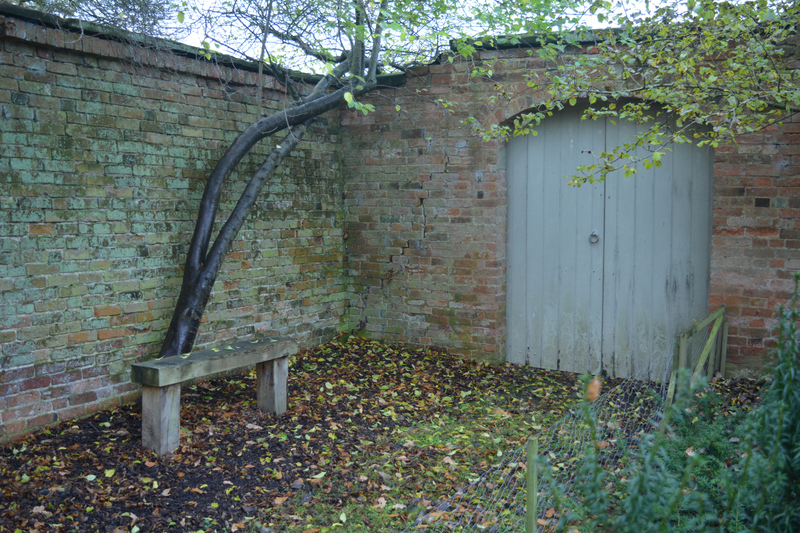 Again the seats at Hanbury were often very simple and ordinaary in design but they are situated in very special places, special buildings, within special planting. 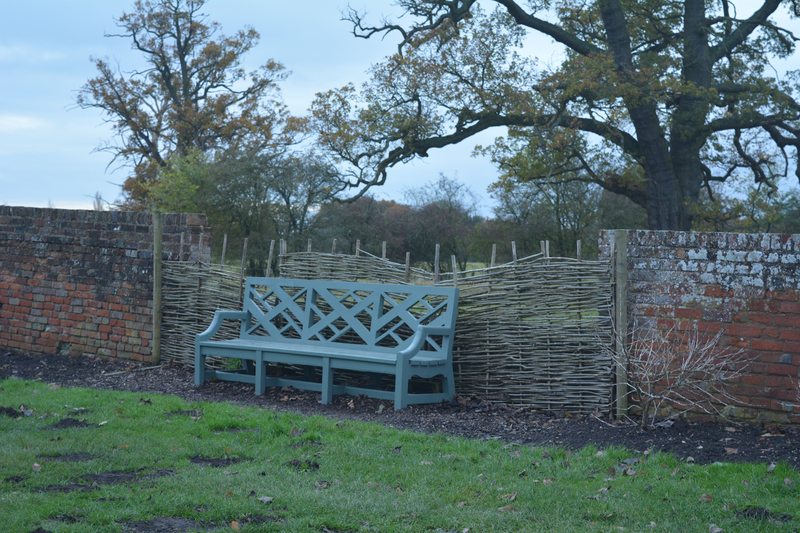 So we have shared with you our selection of garden seats that we enjoyed in November. We hope you enjoyed sharing them with us. We enjoyed trying most of them out! 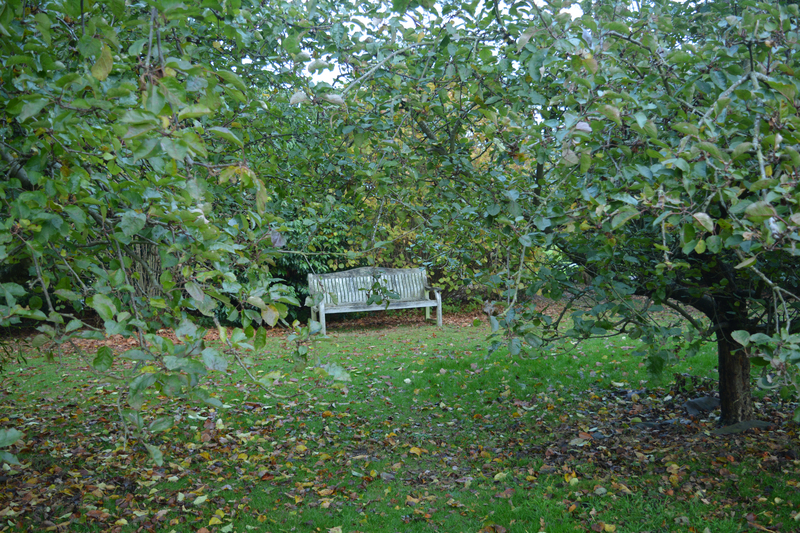 This entry was posted in autumn, autumn colours, buildings, colours, garden buildings, garden design, garden photography, garden seating, gardening, gardens, gardens open to the public, National Trust, The National Trust, Wales and tagged Bodnant, Bodnant Garden, garden seating, garden seats, Hanbury Hall, Natiional Trust Gardens, National Trust, North Wales, Welsh gardens. Bookmark the permalink. 2 Responses to Are you sitting comfortably? Part 11 of a very occasional series. 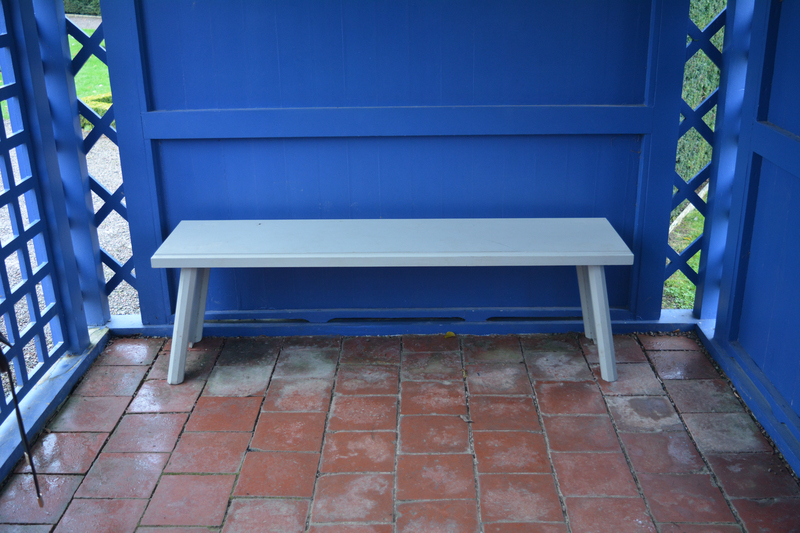 Since retiring I have developed a keen interest in benches – you can never have too many.